Members of the Gents and Eagles Athletic Supporters presented a check for $6500. to the Honor Flight program at Spokane International Airport on September 24, 2018. 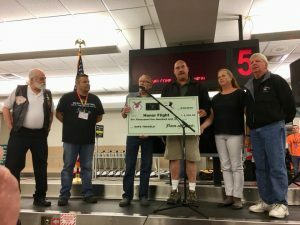 The money is used to help send veterans to Washington D.C.